All revenues are reported net of taxes. During the third quarter of the wage income was normal. In July, I got a summer vacation money, that's the reason, why my salary income in July much higher is, compared for normal months. On the other hand August, much smaller, because I was at vacation on August. Expenditure in July and August was higher than my average, mainly due the final payments for travel expenses and the waste of money on holiday. My goal is to save about half of my wage income and invest those wisely. In the third quarter I clearly missed my target, due to high expenses in Q3, my saving rate of wage income was only 30.51%. When I take into account also the dividend income, my savings rate rises to 42.80%. 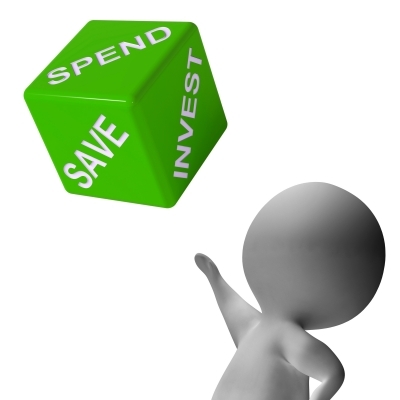 One thing that I will follow with great interest is the dividend income and expenditure ratio, because it is the most important thing on my way towards to the financial independence. The third quarter went pretty badly, dividend income covered only 31% of my expenses. Poor achievement is due, of course, to excessive spending in this quarter. My expenses were an average of 1870 Euros and my salary was an average 2840 Euros per month. As you can see, during the three quarters I managed to save much less than 50% of my wage income, precisely only 34.19%. Of the total income my savings rate at the end of the third quarter was 51.10%. After an excellent second quarter, it is time to go back to reality and realize that there is still a way to go. During the first nine months, my dividend income covered 52.5 per cent of my expenses. As you can see, during the first half of the year my dividend income grew about 9 per cent, even I made several acquisitions during the last few months. Despite the recent acquisitions and the latest dividend increases of a some companies, the growth of dividends in the euro has been fairly modest as the Euro has strengthened by about 12% YTD against the dollar. Wage income compared to last year were slightly lower, for the simple reason that I did less overtime work. Due to the increase in spending, + about 7%, my savings to wage income went down 14.26%, it was only 34.17% for the first nine months. Of my expenses, dividend income accounted for about 1.5 percent more than the year before, so the journey towards financial independence seems to be making a painful slow progress. I look forward to what the end of the year will look like. In the fourth quarter dividend income should be some hundreds Euro higher. Wage income may be lower as normal (2k EUR per month), cause nowadays the situation at my workplace isn't good, because the order books are almost empty. Albeit I don't think your money was "wasted" on you holidays, the finances seem to be pretty healthy! Doing really well mate.